• Simple bolt together connections eliminated field welding. 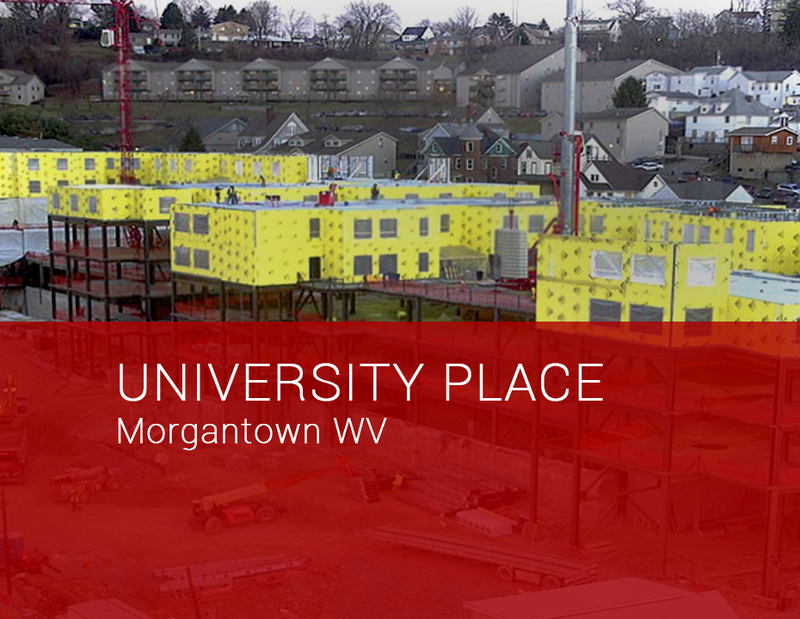 University Place is a mixed-use structure at the University of West Virginia, Morgantown, WV. 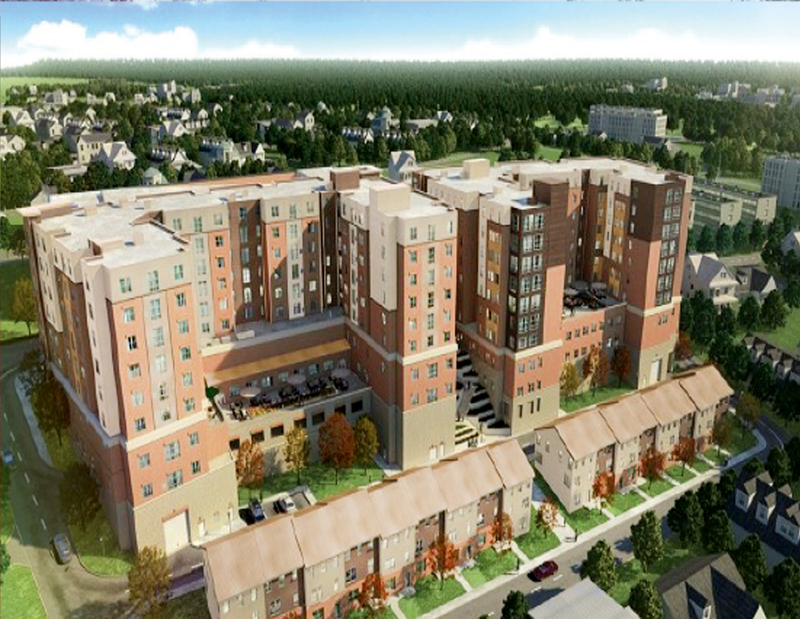 The project consisted of two multi-story mixed-use buildings (1-7 and 1-8 stories) over a steel and concrete podium. 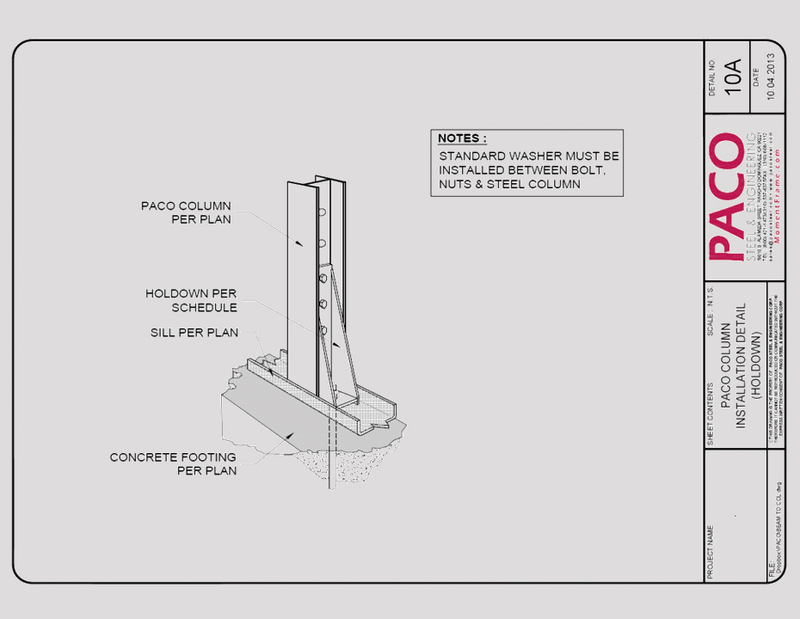 PACO Steel columns were used as shearwall end post boundary elements. 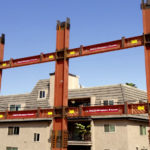 The pre-fabricated walls were supplied by Shrock prefab of Danville, OH.